It’s Storytime! 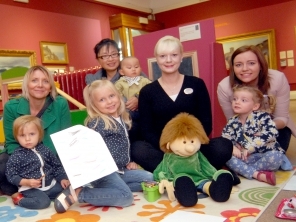 Join Melly for a special story in the Museum’s Picture Gallery! Be prepared to join in, make some noise and have fun. Storytelling sessions are free but donations are welcomed. No need to book, just drop in. All children must be accompanied by an adult.